Today, purchases on the Internet are connected with trust. It does not matter what you sell and at what price – if the visitor does not trust your site, sales will not grow. This is especially true for small little-known stores. Who would have thought that one small letter “S” would stir up the whole big SEO-world? There is a mass transfer of sites on the Protocol Secure HTTPS. It’s the modification of the HTTP-protocol, which encrypts data and ensures their confidentiality. Its configuration protects users from theft of personal information and billing data when interacting with a website. In other words, all online stores and resources containing forms of collecting personal data are simply required to support this protocol. Everyone argued for a long time whether or not to transfer the site into protocol secure. Google said that this summer a new version of the popular Google Chrome browser has been released. It will already accurately mark all sites that do not support this protocol operation, as unsafe. Google will give a bonus to protected sites in the ranking. That is, in the positions in the search. Now, this factor will play an increasingly important role, do not neglect it. The main advantage of an encrypted connection is that data cannot be intercepted or read: safety first, but there are other advantages. The SSL certificate ensures that the browser receives data from the desired domain. It also ensures that important data will be sent to the right place, not to intruders. In the browser, you can click on the lock, read information about the certificate and the company that issued it. If the data is transmitted in an unencrypted form, it is likely that the attacker may be between the server and the browser, and could view all data. Even more, if he can read them, he can change them. Having intercepted the connection, a hacker can see that you are requesting and sending you spoofed data. A secure connection makes attacks of this kind very difficult or impossible. Google wants to send its users to secure sites, so it has included HTTPS in the ranking algorithm. It means that under the same conditions, the site with “S” will be ranked higher than without it. At the moment, it has little impact on search results, but it will change over time. Now Google gives webmasters time to prepare and install SSL on their sites. In the result, a website with SSL looks more reliable than a site without SSL. Google already uses SSL for search, Gmail, YouTube and Google Drive. Finally, the green lock that appears in the browser indicates that you care about security, and gives users confidence. It allows you to get more accurate data about the transitions to the site. Switching traffic from HTTPS to HTTP loses information about the transition. Thus, if you use HTTP and your user has moved from the “S” site, in your statistics this transition will be displayed as a direct transition. When it comes to the advantages, it is necessary to say about the shortcomings. You need to buy an SSL certificate. 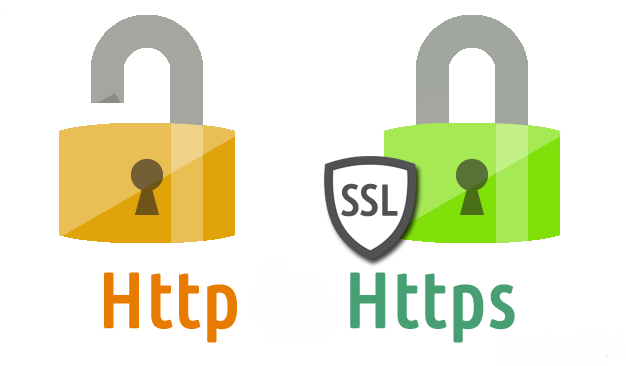 SSL certificates are issued by companies that guarantee their durability. Depending on the brand of the issuing company, the SSL certificate can cost from $ 10 to $ 1000 per year. Mixed content. If your site is not configured correctly, it will download some files via HTTP (not through HTTPS) and visitors will receive a notification of unsafe content. Despite all this, the advantages greatly benefit, with the correct transition, you will not notice any shortcomings but will be satisfied with the benefits, capabilities. Is it Worth to Upgrade or Not? 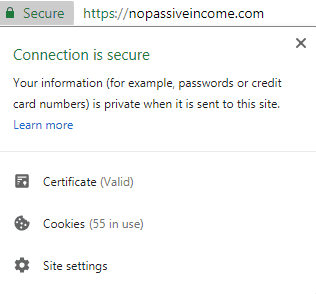 If Google encourages all site owners to migrate to HTTPS so that everyone is safe, why not listen to it? Sites that work with personal data, such as online stores, payment systems, social networks need more than others to securely connect with the user. 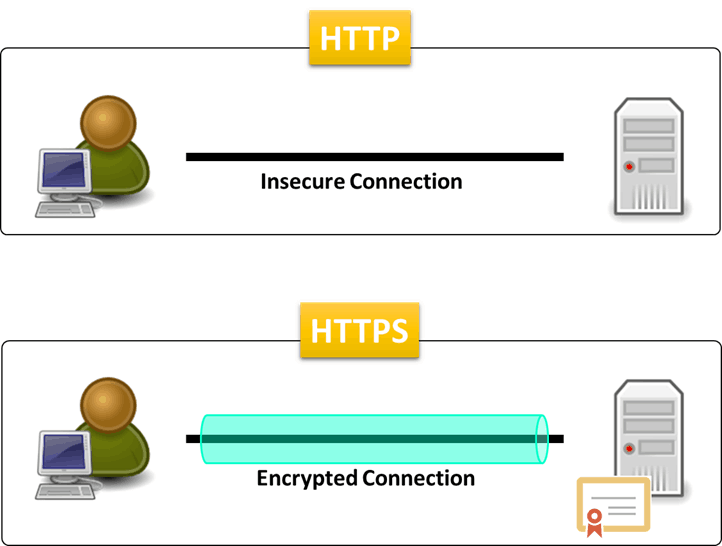 Here are the steps to move your site from HTTP to HTTPs. First of all, you need to correctly determine whether you need a certificate for SSL-protocol free or paid. Small sites and blogs may have a free SSL certificate, or use, for example, a self-signed SSL certificate. Such certificates do not require additional financial costs, but they have a number of significant limitations (for example, a short period of validity). Paid certificates also have a number of additional advantages, on which their price depends: the more advantages you want from a digital certificate, the more will be its price. After selecting and obtaining an SSL certificate (paid or free), it’s time to install it on your server. There may be different ways depending on where you purchased the certificate. To quickly survive the transition of the site to a new protocol, you need to re-add the site in the Google webmasters panel and update all settings: redirection, geotargeting, sitemap. Change all links within the site to links without HTTP. The link http://docs.google.com needs to be changed to //docs.google.com. Verify that all third-party modules are loaded not by HTTP, by HTTPS. After you install the SSL certificate on the server, you must restart the Web server for the changes to take effect. Perform this step only if you install the certificate manually and you are an experienced user who knows what he is doing. After installing the certificate, it’s time to check the success of your installation. The easiest way to verify a certificate for a website with “S” is to type the address of your website in the address bar of the browser with the indication before the domain https: //. If the installation is successful, then your website should be displayed normally and all styles, scripts, images, pages should be loaded normally. You can test the installation on the website using online tools. After the successful installation and verification on the website, all requests to your domain can be forwarded to the required SSL / HTTPS responses. This post has been contributed by Mary Winston. Do you want to increase the conversion of sales in the online store? Click here to get more. This is a great post. I check your blogs regularly but after reading this blog and I’m inspired. It is extremely helpful information; I read such information a lot, for my personal knowledge. I was looking for this particular info from very long time. Thank you and good luck. 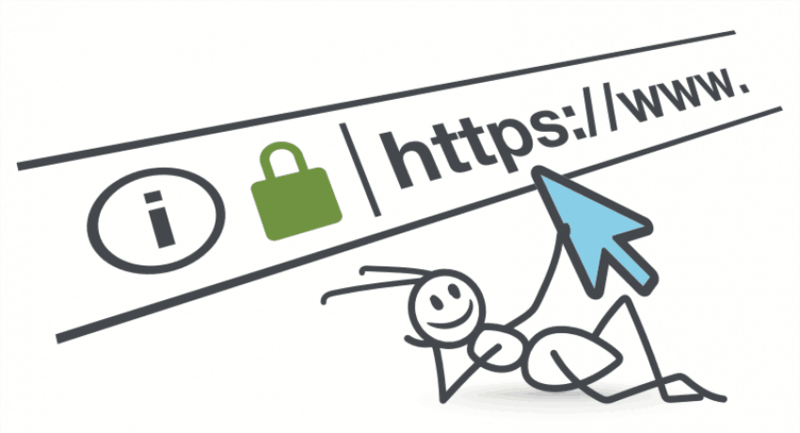 HTTPS offers the best base level of website security and whether or not we should switch to HTTPS is a decision increasingly being driven by Google search algorithm. Switching to HTTPS is fairly straightforward for the smaller website. For the larger website, it is more complicated from an SEO perspective and required technical staff to make the changes.